The City of Peoria has a number of financial incentives to help business grow and create jobs. The state and local incentives are designed to increase investment and employment in Peoria. Contact the City of Peoria Economic Development Department to discuss which incentives are right for your business! The City’s Enterprise Zone is an area designated by the City and approved by the State to stimulate business growth and property investment in key areas of the City. 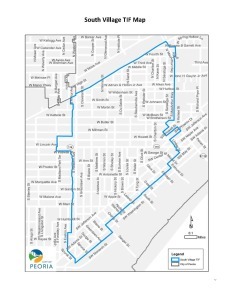 Businesses and property owners located (or those that choose to locate) in a the Enterprise Zone that are making property improvements may be eligible for state and local tax incentives. Benefits available on property improvements within the Enterprise Zone include a) the waiver of sales tax on building materials and b) partial property tax abatement. Application forms with additional details are provided below. 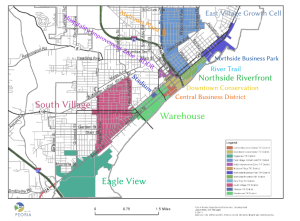 Please call (309) 494-8600 to find out if your property is located in the Enterprise Zone. 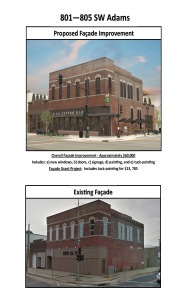 The City established the River Edge Redevelopment Zone in 2013 which provides for a) property tax abatements, b) sales tax exemption, and c) historic tax credits (federal and state) to induce redevelopment of properties along the Illinois River. TIFs in Peoria have led to significant development, such as O’Brien Field, portions of the Riverfront redevelopment, and the Illinois Medical Center. It has also helped businesses like O’Brien Steel, PMP Fermentation and Plattner Orthopedics expand or locate in Peoria. 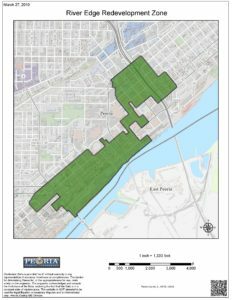 The City of Peoria has released a Request for Proposal (RFP) seeking job training programs that serve employers and/or residents of the South Village TIF area (RFP attached). There is currently $50,000 available for job training programs. Eligible job training activities can include: on the job training, occupational training, job readiness, and job preparation programs. Eligible applicants include employers, business associations, and non-for profit organizations. 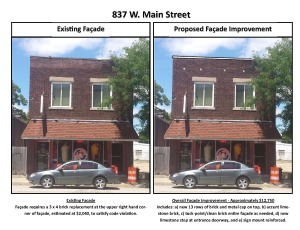 The City’s Office of Economic Development will handle all questions concerning this RFP, review all submissions, and prepare recommendations to City Council for final approval. Selected applicants will enter into contracts with the City for a 12 month term. Proposals must demonstrate capacity to provide state-of-the-art services to successfully prepare people for employment. RFP submissions are due by Wednesday, November 1, 2017, 4:00 p.m. to City of Peoria, City Manager’s Office, Economic Development, 419 Fulton St., Ste. 207, Peoria, IL 61602.For questions or additional information, please contact Leslie L. McKnight, PhD at 309-494-8651 or lmcknight@peoriagov.org. 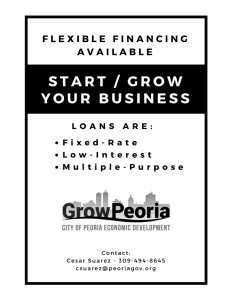 The Revolving Loan Fund (RLF) is a gap financing tool that provides low-interest, fixed-rate, flexible-term financing for businesses that create and/or retain jobs in the City of Peoria. RLF funds may be used for a variety of purposes, from real estate to working capital loans. To learn more about financing your project go to our Creative Financing Webpage. An Industrial Revenue Bond (IRB) is a form of municipal bonding that is designated for use by private manufacturers. Projects within an Enterprise Zone are given preference for IRBs. By providing a reduced financing rate, an IRB gives small manufacturers access to capital (both locally and in national markets) that they ordinarily might not have. IRB’s can be issued for amounts between $1.5M and $10M, and the interest rate is generally 2.5-3% below prime. These loans can be at fixed or variable rates and usually have terms of 20 years. Unlike many other state and locally-run programs, IRBs can fund 100% of costs. These costs can include purchase of land, buildings and new machinery. Applicants must secure the legal opinion of certified bond counsel. In 2007, the City of Peoria has been allocated about $9.5M to use for industrial projects. (If this amount is not used for industrial projects, it is allocated for the Assist home buyers program.) Additionally, the state’s Illinois Finance Authority has authority over approximately $80M in separate funds. For more information on this tremendous benefit, please click here or call the Department of Economic Development at (309) 494-8600. Several tools were developed in early 2017 to encourage the startup and expansion of Minority-owned Business Enterprises (MBEs). Many of these programs can be layered together with other programs to provide business financing. A description of each is provided below. Minority-Business Implementation Grant (M-BIG) Program: The M-BIG program awarded 6 cash prizes of $2,500 to startup and existing MBEs that: a) created new market opportunities, b) capturde new market share, or c) met untapped or emerging market demand. Minority Business Grant Opportunities Research: The City commissioned a study to determine what grant resources are available for MBEs. To learn more about grant opportunities for your business, please review the MBE – Grant Opportunity Research and click through the links resources in the attached document. Micro Loan Opportunities: The City conducted a review of micro-lenders interested in providing small business loans, less than $15,0000, to help with startups and small project financing. Please contact the micro-lender listed in the attached based on your business financing needs. In addition to the programs directly managed by the City of Peoria, our partners in the County, State and Federal government also have a variety of programs designed to help business succeed. Many of these programs can be used in concert. Please contact the Department of Economic Development at (309) 494-8600 for more information on any of these programs. Peoria County G.A.P. Loan: Secondary financing, not to exceed 40% of total financing package. There must be at least 10% equity participation from business. County will lend $10,000 per job created or retained, not to exceed $150,000. Fixed interest rate 3% below prime (not lower than 3%). Term will be one year for each $15,000 loaned (7 years maximum for loans for inventory and working capital). Illinois Finance Authority Participation Loan: IFA will work with prime lender to purchase up to 50% ($1M max) of a loan for purchase of land or buildings, construction or renovation of buildings, and acquisition of machinery and equipment. Interest rate is 2% below the lender’s rate, leading to a blended rate (lender may take up to 1% as servicing fee). 10 year maximum term (if lender term is longer, balloon payment required after 10 years). Illinois Department of Commerce and Economic Opportunity (DCEO) Enterprise Zone Participation Loan: Works much like the IFA’s Participation Loan, but is limited to businesses expanding or locating in an Enterprise Zone. Funds can be used for purchase and installation of machinery and equipment, working capital, purchase of land, construction or renovation of buildings. Cannot be used for debt refinancing or contingency. For DCEO’s portion of the loan, the interest rate on variable-rate loans is 2% below indexed rate. Fixed and adjustable rates are similar to US Treasury notes, plus 0-1%. Borrower cannot employ more than 500 FTEs. DCEO’s EDGE Tax Credits: The Economic Development For a Growing Economy Tax Credit Program (EDGE) is designed to offer a special tax incentive to encourage companies to locate or expand operations in Illinois. The program can provide tax credits to qualifying companies, equal to the amount of state income taxes withheld from the salaries of employees in the newly created jobs. The non-refundable credits can be used against corporate income taxes to be paid over a period not to exceed 10 years. DCEO’s Manufacturing Modernization Loan: Secondary financing of between $10K and $750K for manufacturers who are retooling, upgrading machinery, or expanding. Must constitute 25% or less of total financing package. Sub-prime rates, maximum term of 10 years. DCEO Revolving Line of Credit: Allows businesses to borrow the amount of money needed to meet the demand and to repay the loan from the sales revenues. Line of credit established for between $10K and $750K, but not more that 25% of total project. Attractive interest rates, but all review and terms set by lead lender. Must not employ more than 500 FTEs. Three year maximum term. Illinois State Treasurer’s Economic Program: The Treasurer will deposit up to $25K into the business’ bank at below market rates for each full-time employee created or retained. That bank, in turn, can lend those funds to the business at below prevailing rates for a term of between 1 and 5 years. Illinois State Treasurer’s Economic Recovery Loan Program: Similar to the STEP program directly above, but the limit to be deposited is up to $50K per job created or retained. 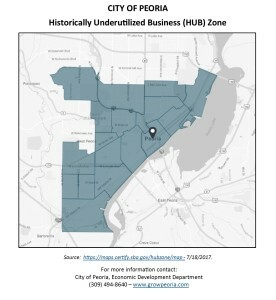 Federal Historically Underutilized Business (HUB) Zone: Businesses may want to explore HUB Zone certification to better position themselves as contractors on government funded projects. US Small Business Administration (SBA) 504 Loan: Provides businesses with long-term, fixed-rate financing for major fixed assets, such as land, building,and machinery and equipment, not to exceed 40% of total financing package. Requires 10% equity participation by business. For most businesses, the loan is $65,000 per job created, up to $1.5M. For “small manufacturers”, the loan can be $100,000 per job created, up to $4M. Interest rate tied to 5- and 10-year US Treasury issues. Term is 10 or 20 years. SBA 7(a) Loan: Loan guaranty for prime lender. All financing is handled through the lender, with partial guaranty by SBA in case of failure to pay. Applicants must meet certain qualification set out by SBA. Maximum loan is $2M (75% guaranty). Maximum of 25 year term for real estate and equipment, 7 years for working capital. Interest rates may be fixed or variable and may not exceed the prime rate by a certain number of points (depends on size and term).